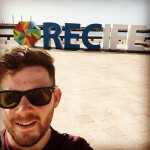 Summary of the project: I worked in Recife working with an HIV & Aids awareness NGO to help them grow their awareness and secure additional revenue through partnerships with local businesses. Jamie has been at BBH almost 3 years now. He initially joined interning for 6 months before joining permanently as a strategist. In his time at BBH he has worked a number of accounts including Adidas, Barclays Premier League, KFC, RFU and Barclaycard. He is currently working on British Airways, Clarks and Mentos. Across this accounts he has worked on lots of different campaigns from global TV campaigns to sponsorship activation, building digital platforms, as well as social campaigns. Through out these projects he has enjoyed being involved at every stage, from the initial brand and campaign strategy, right through to working with creatives to implementing the campaign with the social team or media agency. Outside of work, he is a keen football fan, playing for the mighty Chalk Scratchings every Sunday on Hackney Marshes. He also tries to see his beloved Southampton as many times a season as possible. He is also a big music & photography fan, trying to go to as many gigs and exhibitions as possible. From growing up in the New Forest, he has a love for the outdoors, be it cycling, surfing, snowboarding or just instagramming ponies.